Harshajyoti Das is the CEO at Munmi.org, a company that helps small businesses with SEO, Social Media marketing, and Reputation Management. 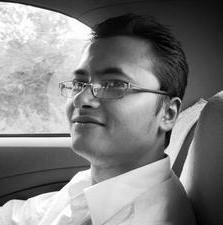 He also gives advices on Internet marketing & Entrepreneurship in his blog FireYourMentor.com. I have been into internet marketing since I was 17 years old. I think it was about time that I write a book and spread my knowledge. All the tips and techniques that I discuss in this book comes from my first hand experiences. I sit early in the morning to write. I just write whatever comes to my mind. After a piece is written, I go back to edit. I change the sentence formations, add synonyms, and correct spelling errors. I love working on “Write Monkey”. Start writing now. Write at least 1000 words daily. Don’t worry about publishing it. Once you have enough content, many windows will open to get your book published. Honestly speaking, Amazon has simplified the whole process via Kindle Publishing. It just takes you 5 minutes to publish a book. 1. Hire an editor after you finish your book. 3. Download the Kindle book Format from fiverr.com. It will just cost you $5. I will tell you about the future of Kindle publishing. There are a lot of low quality books out there that are worth just 5000-6000 words. These people just want to make some quick bucks. Kindle readers will soon realize it and will start reading only big, fat books of more than 100 pages. So, if you planning to write a book, write a fat book. Don’t limit yourself to just 5000 words.